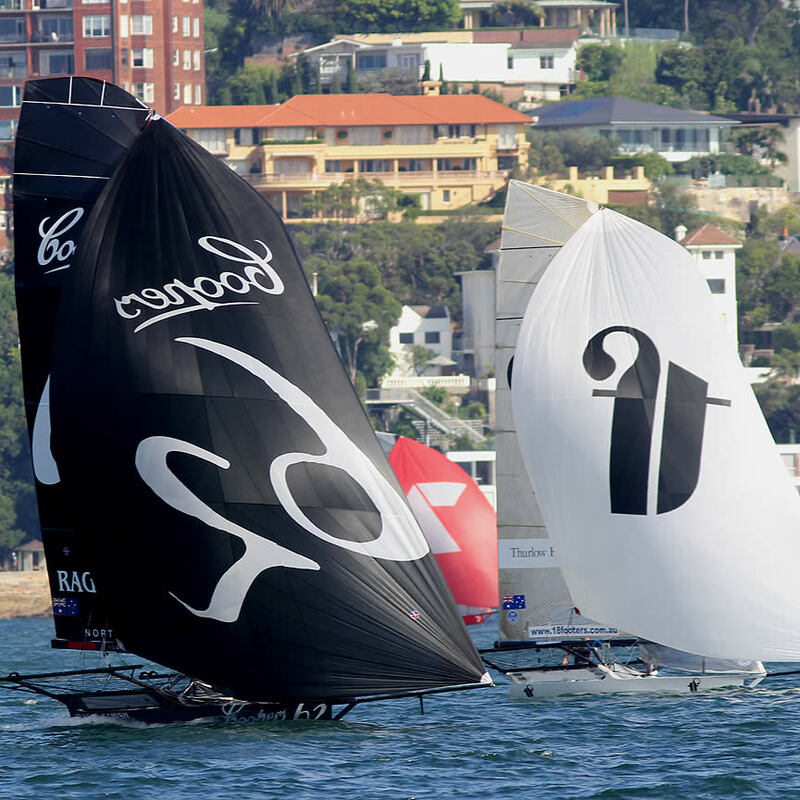 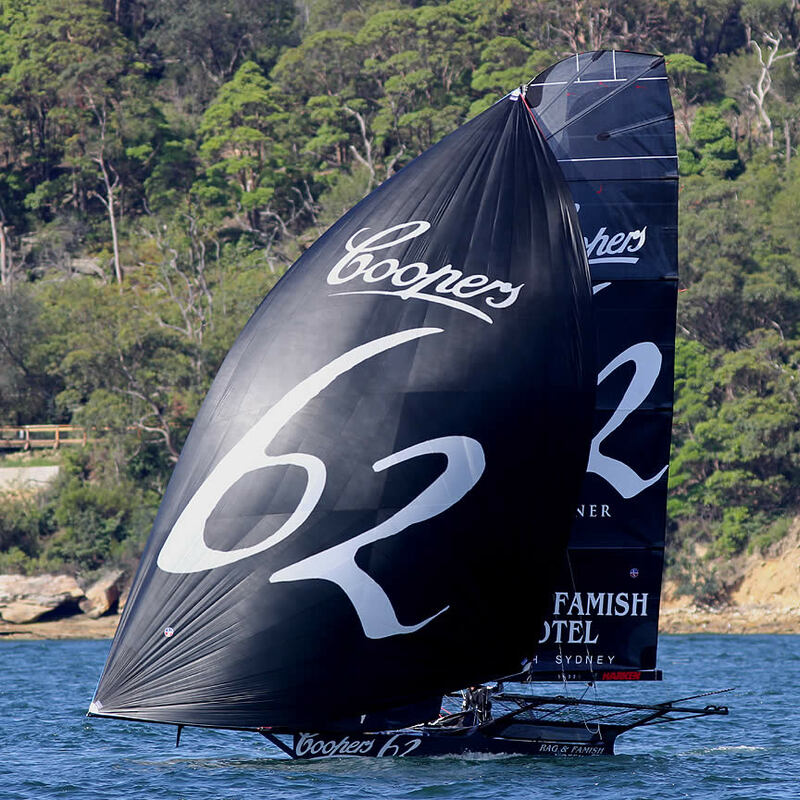 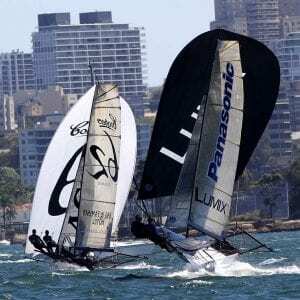 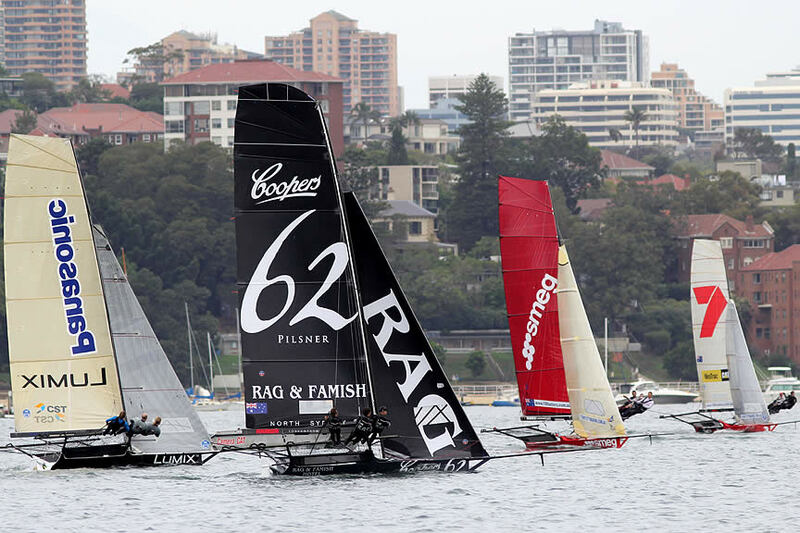 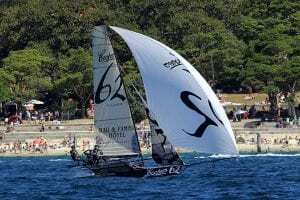 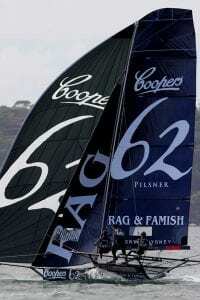 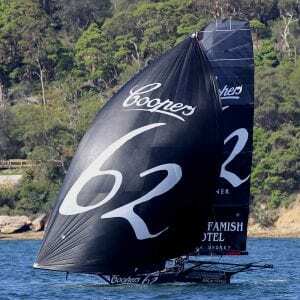 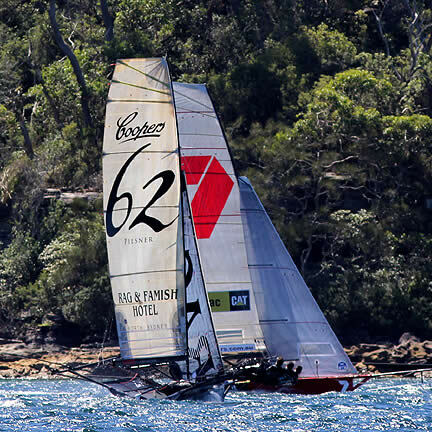 The flying 18 footers hold a special place in Sydney Harbour’s culture and history. 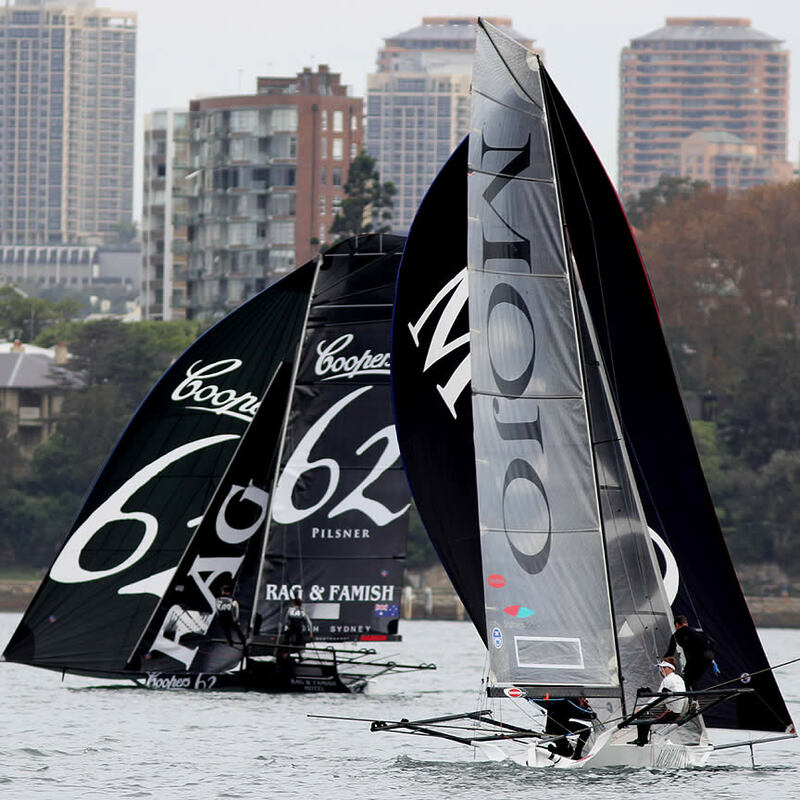 Having been on the Harbour since 1890, the 18’s have bred generations of passionate and world record beating sailors. The 18’s have been at the forefront of development worldwide for many years and are recognized as the fastest plaining monohulls in the world today; their colour and vibrance are undeniably attractive and addictive! The Rag and Famish Hotel North Sydney has been one of the longest standing sponsors in the class and holds a special place in it’s history. 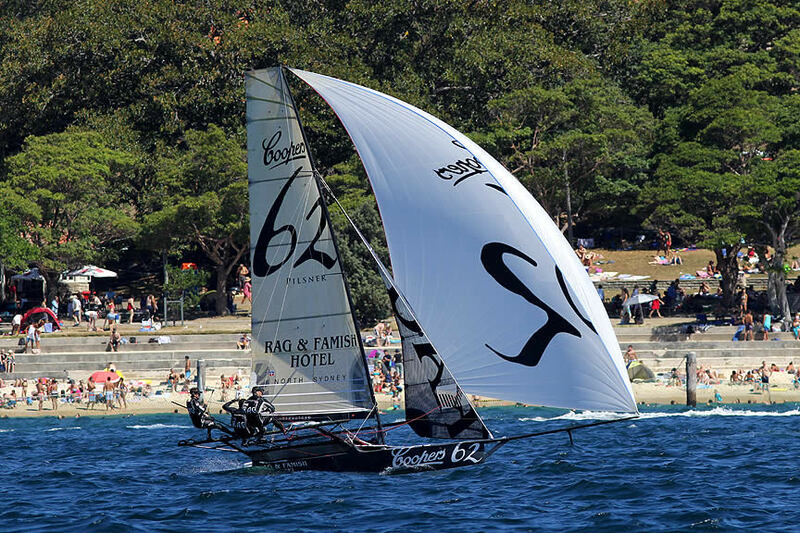 A sentimental crowd favourite, “The Rag” has been through all the highs and lows of racing but remains a passionate and true icon in the class. 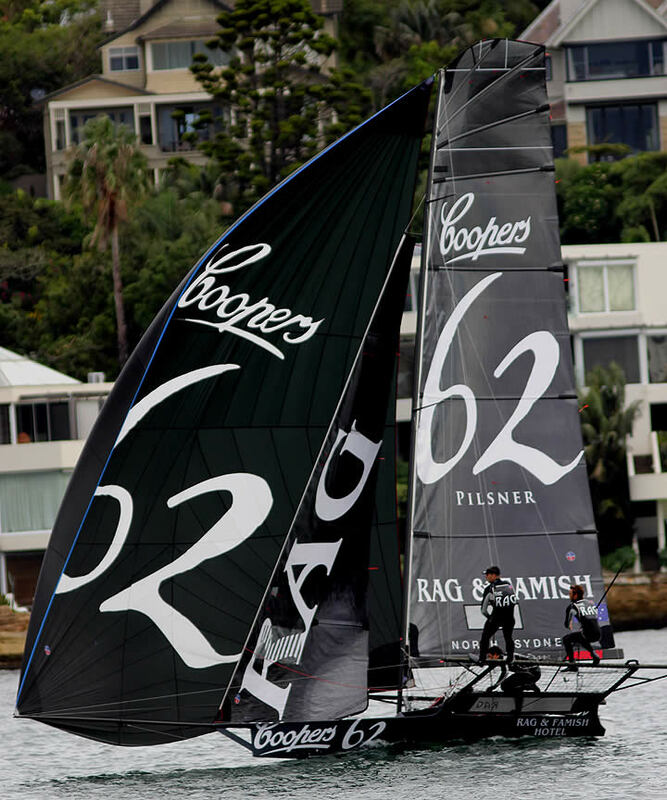 For the past decade ‘The Rag’ has had a fantastic relationship with the Coopers family that allows us to have the fastest boat possible every year, we are hoping that relationship lasts another decade! John Harris skippered ‘The Rag’ for the best part of a decade, winning a JJ Giltinan World Title along the way. 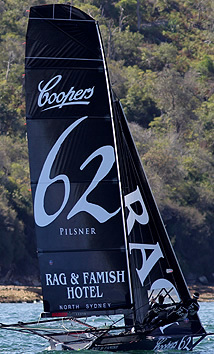 4 years ago John passed the banner on to Jack Macartney who currently skippers the boat and leads ‘The Rag’ team today. Mark “Sharko” Kennedy sails on the mainsheet and has done for the past three seasons while Peter “Big George” Harris is a true Rag and Famish blood having sailed in the bow with his brother John for numerous years and continuing with the boys today. 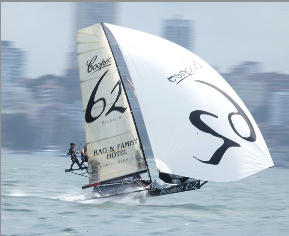 Jack, Mark and Peter launched a new boat in 2012 & are expecting another successful season of racing this year. 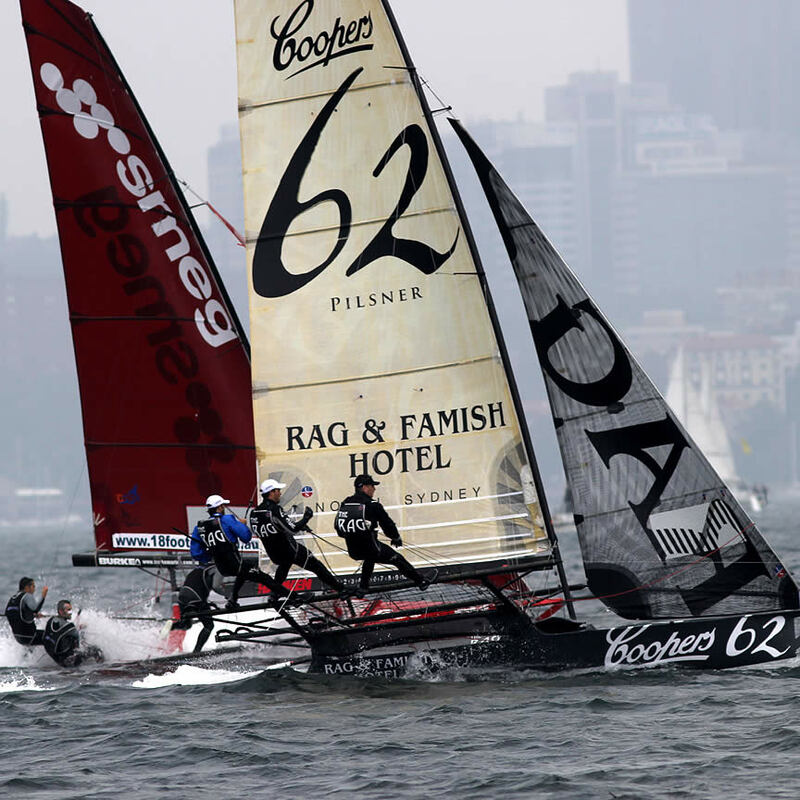 Book your spot on the spectator ferry today!